The largest state east of the Mississippi River, Georgia (GA), is 400 miles from top to bottom, and 250 miles at its greatest width. Georgia's diverse landscape with amazing mountain views, beautiful coastline, lush forests and numerous freshwater bodies allows for exciting road trip adventures for every visitor. Scenic byways and routes tie visitors to Georgia's Southern culture, guiding them through colorful country-sides and beautiful main streets. Georgia is one of the most popular road trip destinations for countryside seekers, adventure lovers, photographers and history buffs. The coastal area of Georgia features windswept beaches, tranquil marshlands, and popular scenic drives such as Ridge and Valley, Russell-Brasstown and South Fulton Scenic Byway. 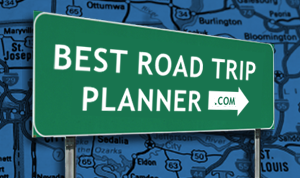 Take a road trip to Georgia and enjoy all that the state has to offer!